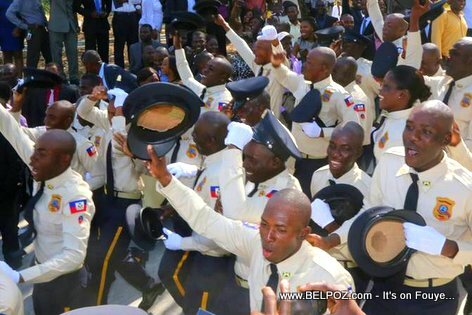 When Haitians protest against the government, then burn car tires (boule kawotchou) in street corners to disrupt traffic. 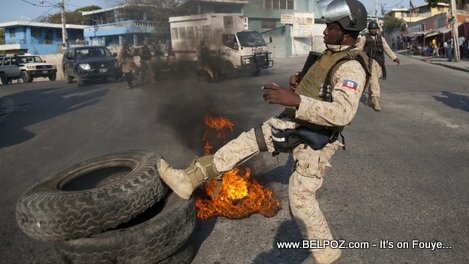 This is a picture of a Haitian policeman from the Departmental Unit of the Maintenance of Order (UDMO) kicking a burning tire left by protesters during the street protest to attempt to clear the streets. 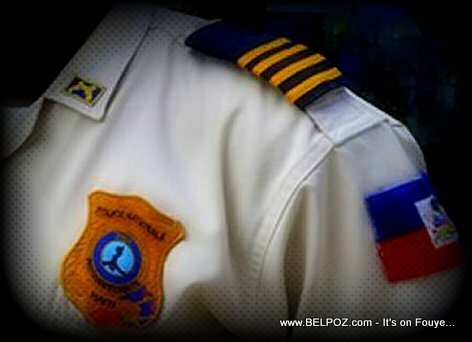 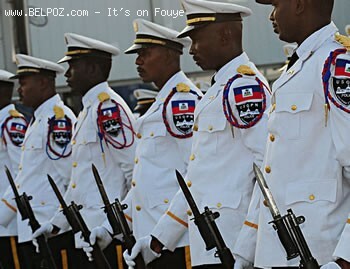 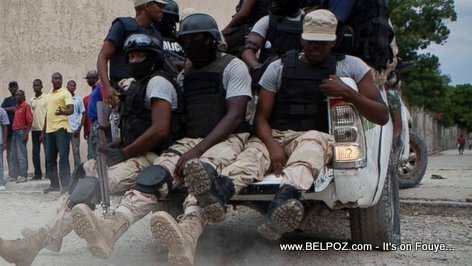 Look at this photo... . Fifteen Haitian police officers are in trouble in Thiotte. 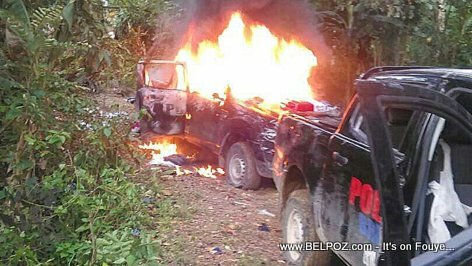 Their vehicles are on fire after a failed operation.